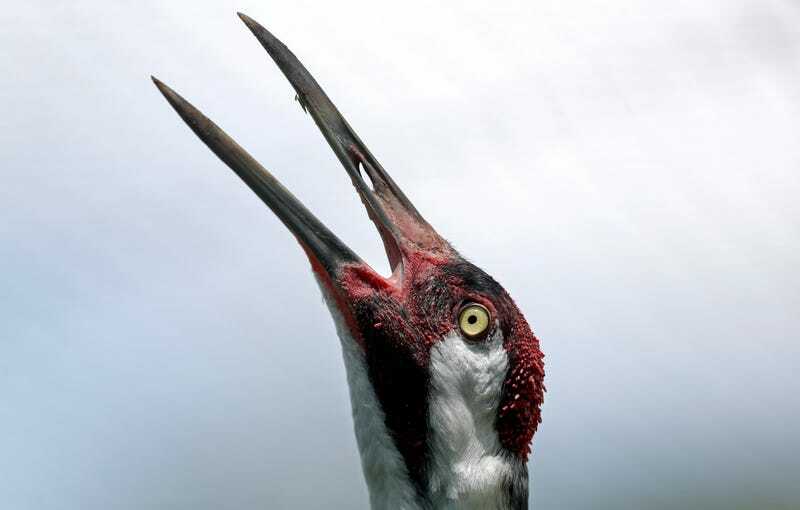 A big mood: This critically endangered adult whooping crane is screaming into the void. Unsurprisingly, the current American regime is not a fan of nature! On Thursday, the Interior and Commerce departments, both in charge of protecting wildlife, proposed sweeping changes to the Endangered Species Act, the Washington Post reports. Conservationist are also, reportedly, particularly worried about the potential removal of a rule requiring federal agencies to consult scientists and wildlife agencies before being granted permits for such projects as oil drilling and logging. According to the New York Times, the administration has also proposed a change to the definition of “foreseeable future,” which could potentially give the government even more wiggle room when writing off the future effects of global warming. The Times reported that “the proposed revisions have far-reaching implications, potentially making it easier for roads, pipelines and other construction projects to gain approvals than under current rules.” It’s the same old story: What’s bad for the environment is good for business (and by “business” I mean the limited and short-sighted interests of the managing corporate class).